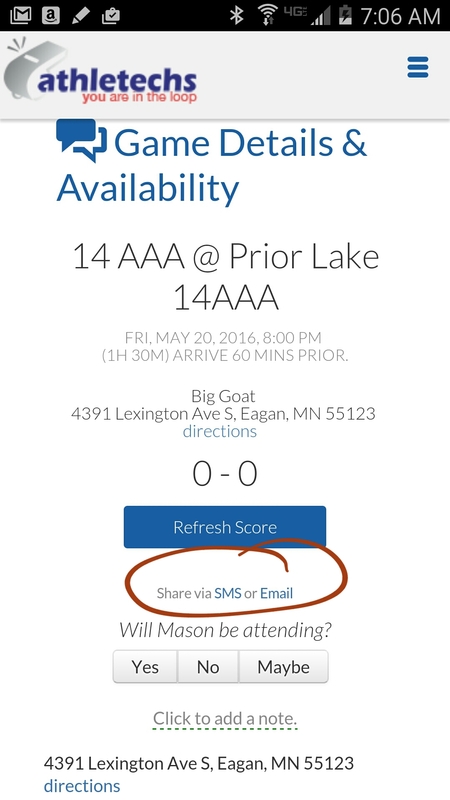 Share Event Details, Driving Directions and Scores with Friends and Family! Click on My Schedule and then click the "more details" link under the availability buttons. 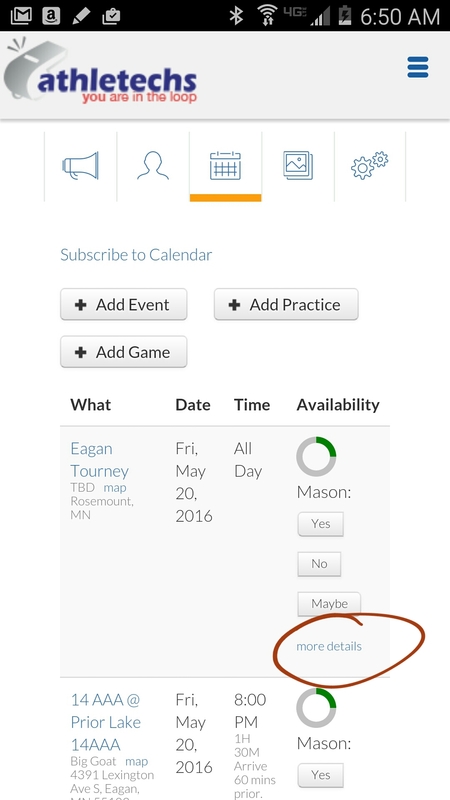 You can also get to the Events Detail page from your calendar app. On the Event Details page there are links to "Share via SMS or Email". Click this link to share the event with friends and family.